APRIL 1, 2019. BY WINE BUSINESS MONTHLY. 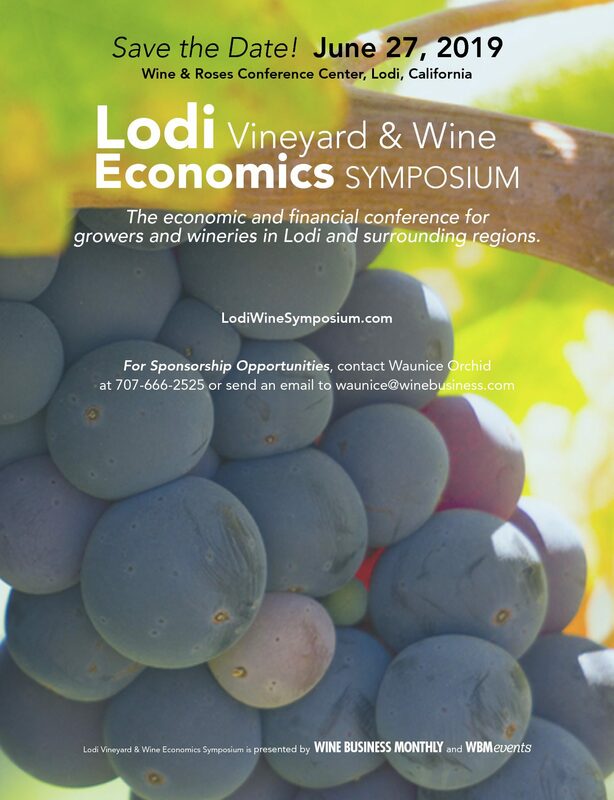 The Wine Business Events/Industry Symposium Group will be presenting the Fourth Annual Lodi Vineyard and Wine Economics Symposium on Thursday, June 27th, 2019 at the Wine and Roses Hotel in Lodi. This year’s event will open with a presentation of the results of the 2019 Survey of Vineyard Economics Issues and Trends in Lodi and surrounding regions, presented by wine industry veteran and Symposium advisor, Brad Alderson. You can register to attend the Lodi Vineyard and Wine Economic Symposium event at www.lodiwinesymposium.com beginning Tuesday, April 9th, 2019.